El guitarrista / vocalista Michael Sweet (STRYPER) ha firmado un acuerdo para hacer un disco a principios del año próximo con el legendario guitarrista George Lynch (T&N, DOKKEN, LYNCH MOB), el bajista James Lomenzo (MEGADETH, WHITE LION, BLACK LABEL SOCIETY) y Brian Tichy (S.U.N., WHITESNAKE). Escribio en la página de Facebook de Stryper: "Estoy emocionado y vosotro?" 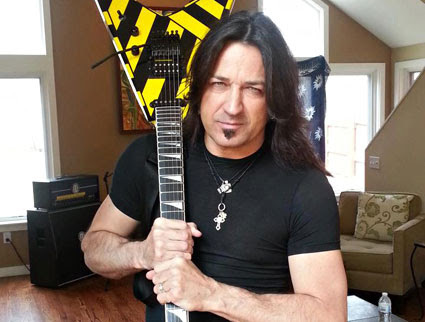 Guitarist/vocalist Michael Sweet of Christian hard rockers STRYPER has signed a deal to make a record early next year with legendary guitarist George Lynch (T&N, DOKKEN, LYNCH MOB), bassist James Lomenzo (MEGADETH, WHITE LION, BLACK LABEL SOCIETY) and Brian Tichy (S.U.N., WHITESNAKE). He writes on STRYPER's Facebook page: "I'm excited! And you?" Este tío tiene una voz impresionante, pero el rollito cristiano católico que lleva no me mola nada de nada. "Frontiers Records se complacen en anunciar que la discográfica está detrás del nuevo proyecto aún sin nombre de Michael Sweet de Stryper, el ex Dokken y guitarrista de Lynch Mob George Lynch, el bajista ex White Lion James Lomenzo y el bateria ex-Whitesnake y Foreigner Brian Tichy. El álbum debut se grabará a principios de 2014 con Sweet en las tareas de producción, su lanzamiento se espera después del verano de 2014. Este es el primero de una serie de emocionantes nuevos proyectos de bandas reunidas personalmente por Serafino Perugino, Presidente y Director de A & R de Frontiers Records, que verá la luz en 2014... Estén atentos a más noticias..."
Frontiers Records can proudly announce to be the label behind the yet unnamed new band project featuring Stryper's Michael Sweet, former Dokken and Lynch Mob axeman George Lynch, former White Lion bass player James Lomenzo and ex-Whitesnake and Foreigner drummer Brian Tichy. The debut album will be recorded in early 2014 with Sweet overseeing production duties, for a release pencilled right after the summer of 2014. This is the first of a number of new exciting band projects put together personally by Serafino Perugino, President and Head of A&R of Frontiers Records, which will see the light of day during 2014. Stay tuned as more exciting news will be unfolding soon ! Michael Sweet está escribiendo material para su próximo álbum en solitario, que espera lanzar en abril / mayo de 2016 a través de la discográfica Rat Pak. Michael promete que será su "mejor disco hasta la fecha" , contará con Will Hunt (Evanescence, Black Label Society) en la batería. En cuanto al bajo, "Haremos algo completamente no convencional", dice Sweet. STRYPER frontman Michael Sweet is writing material for his next solo album, tentatively due in April/May 2016 via Rat Pak Records. The CD, which Michael promises will be his "best to date," will feature Will Hunt (EVANESCENCE, BLACK LABEL SOCIETY) on drums. 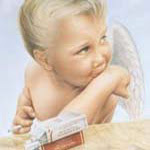 As for the bass, "We'll be doing something completely unconventional," Sweet says. MICHAEL SWEET: nuevo disco "One Sided War"
Michael Sweet lanzará su séptimo álbum en solitario, "One Sided War", el 26 de agosto a través de Rat Pak Records. Acompañaron a Michael en el estudio el guitarrista Joel Hoekstra de Whitesnake, el batería Will Hunt de Evanescence, el bajista John O'Boyle y Ethan Brosh (guitarra). Surrounding himself in the studio with Whitesnake guitarist Joel Hoekstra, Evanescence drummer Will Hunt, bassist John O’Boyle and East Coast shred-master Ethan Brosh, Michael began creating what would soon be known as “One Sided War”. Michael states “Originally I planned on showcasing my own guitar playing; I was going to do it all myself, but once I brought Joel & Ethan into the picture, things began to take a new direction and I am very happy with what we have accomplished”. Says Ethan Brosh about working with Michael, "He's one of those guys who have always been at the top of their game and has just never lost it and for me to be a part of this is very special". Joel Hoekstra comments "Michael and I actually go back to my time in Night Ranger when we opened for him when he was playing with Boston. Ever since then we've just been kind of collaborating and this is sort of a natural evolution getting to play on a few songs on his solo album". MICHAEL SWEET: nuevo tema "Golden Age"